GNC Superfoods™ is a line of superfoods products specifically designed for GNC. 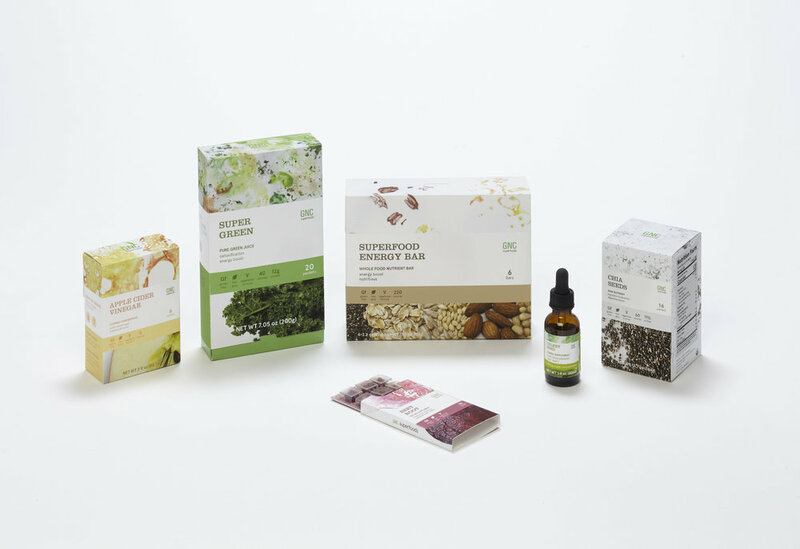 This line of products strives to make the experience of trying superfoods for the first time easier for young professionals by creating genuine packagings that are informative and accessible. 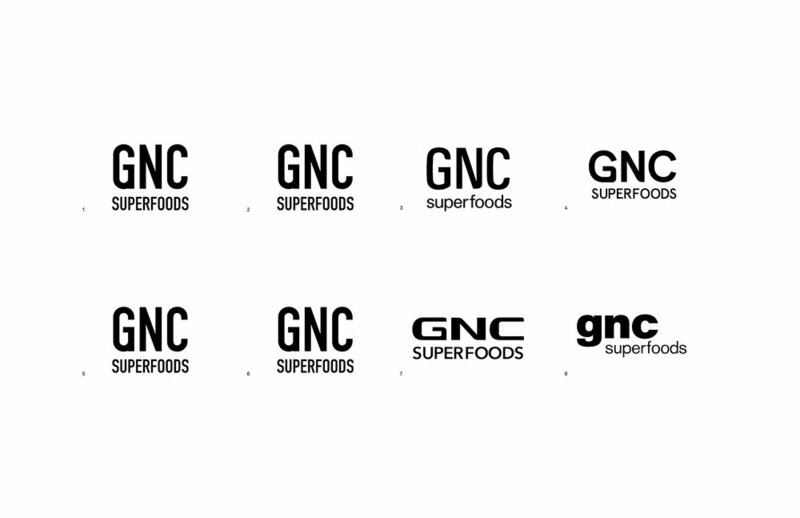 GNC Superfoods™ is a line of superfoods products specifically designed for GNC. 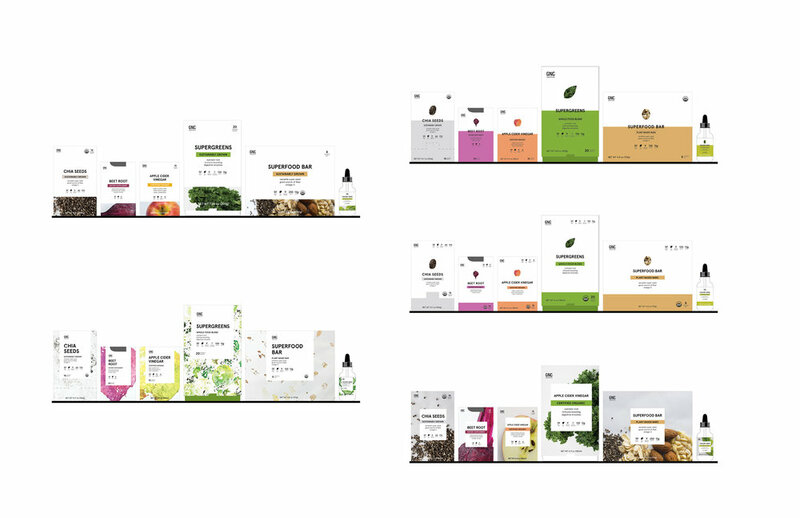 This line of products strives to make the experience of trying superfoods for the first time easier for young professionals by creating approachable packaging that is informative and accessible. The idea of superfoods is very confusing for many people. 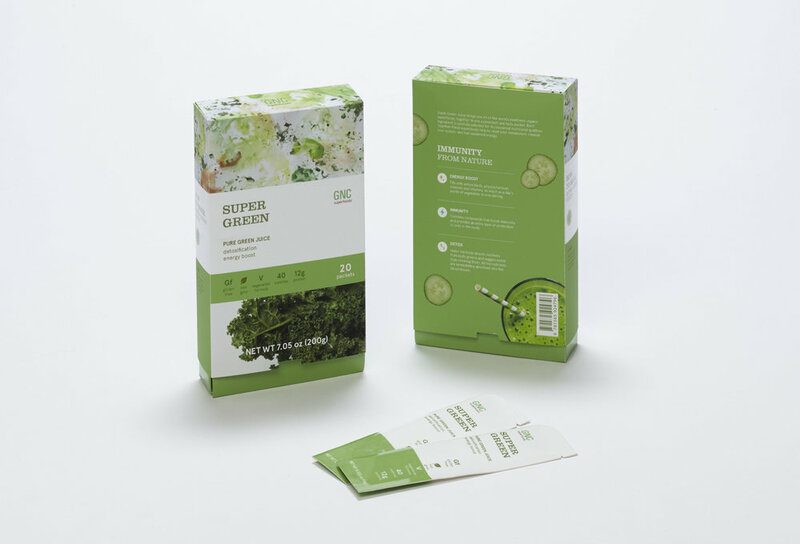 Many have given up trying this kind of diet before they even start because of the communication issue with the packaging in the market today. 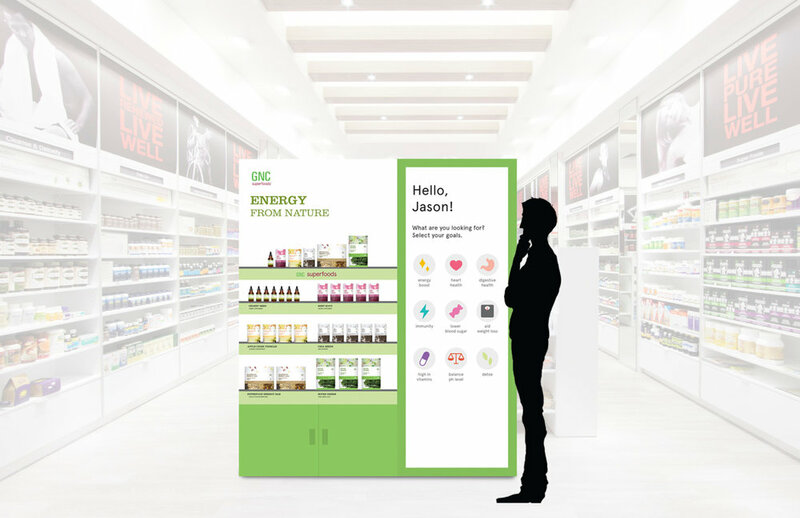 The challenge is to create an overall system that clearly communicates all the benefits of superfoods, the instructions on how to consume these product, and also a supportive platform that helps and educates people. 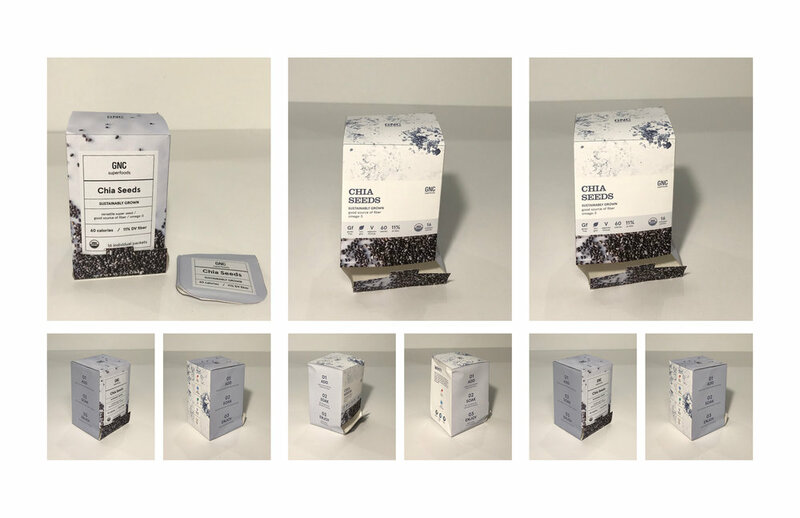 Primary: The primary packagings use lithographic printing on food graded SBS with a soft touch finish and spot gloss UV on the white labeling section. 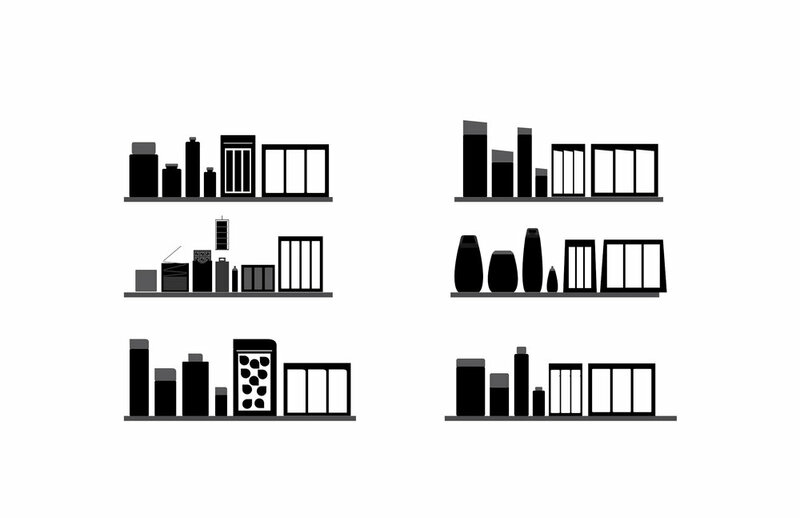 Secondary: The secondary packagings is made out of PP with a soft touch finish and spot gloss UV for the bottom colored section. Extract: The extract is contained in an amber glass dropper bottle to prevent UV rays from damaging the product. 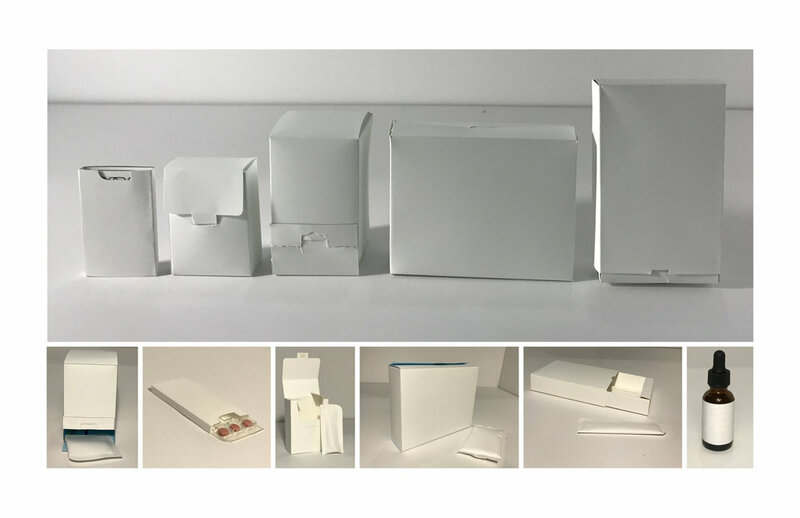 Blister Pack: The supplements pack is made out of PVC with PVDC coating to prevent moisture and oxygen from entering and sealed with paperboard backing.